GRAND CANYON — Rockslides and damage to some trails and access points in Grand Canyon National Park have necessitated closures while crews make repairs. The Colorado River Trail between Pipe Creek and the Silver Bridge will be closed for repairs starting Monday at 7 a.m. due to damage caused by an unexpected rockslide. The trail will be closed to foot traffic and stock use. The Park Service anticipates the closure will be in effect for a week or more while crews stabilize a retaining wall. 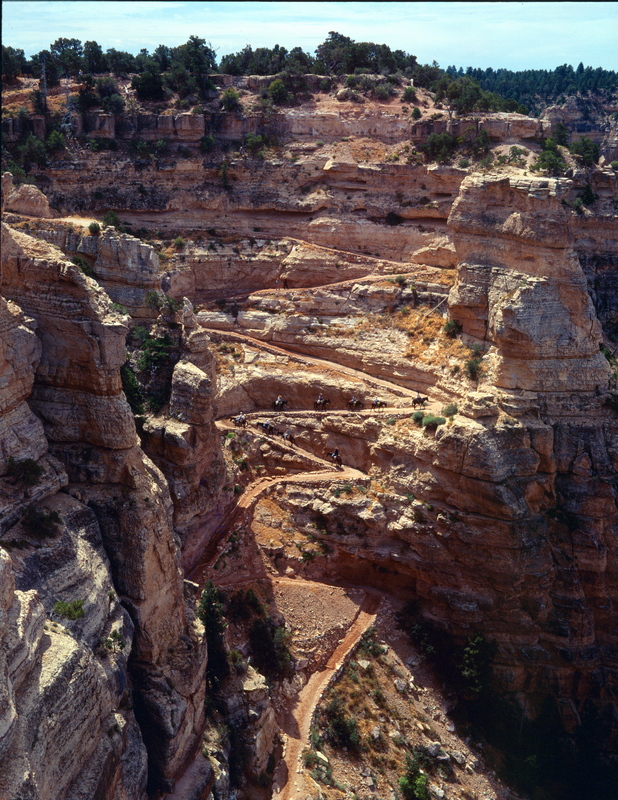 The North Kaibab Trail at the Redwall Bridge was closed March 27 to allow crews to stabilize rock and debris created by a storm-related rockslide above the trail and the North Rim water supply pipeline that runs near it. The closure remains in effect from 8 a.m. to 4:30 p.m. daily while crews are working until they determine the area is safe to access. The Park Service estimated the work would continue until around April 15, subject to weather and resources. Access to Ribbon Falls is also closed for repairs to the footbridge that crosses Bright Angel Creek, which sustained damage making it impassable to foot traffic. There is no estimated time for the bridge repair and the Park Service announced it will remain closed until further notice. The current closures do not affect the South Kaibab Trail, Bright Angel Trail to Pipe Creek, Phantom Ranch, Bright Angel Campground, Cottonwood Campground or Indian Garden Campground, all of which are open. 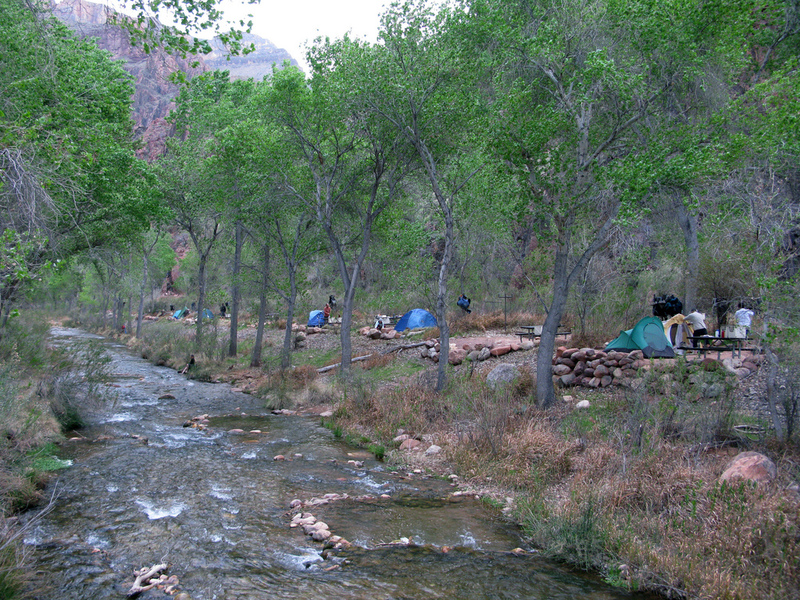 The South Kaibab Trail provides access to Phantom Ranch and Bright Angel Campground as an alternative to the Colorado River Trail. Hikers and backpackers are urged to plan ahead and check in at a visitor center or the Backcountry Information Center for updates. Information about backcountry permits is also available online. In its news releases, the National Park Service emphasized the importance of staying on designated trails at all times. There are no detours in place and trail users are warned to not attempt going over or around the closures. Pay attention to directions from park rangers, volunteers and signs placed along the trails. Updated information about trail closures may be found on the park website or by calling the incident information line at telephone 928-638-7688.